Charles Olsen, winner: III Poetry Award SxS Antonio Machado. Photo Lillian Pallares. “It’s pretty clear this week I didn’t get things right and I’m sorry.” That was Auckland Pop Up Globe’s Miles Gregory on 95bFm’s The Wire on Friday. Last Lowdown came out as the Pop-Up Globe’s decision to promote its new season featuring an all-male Taming of the Shrew using #metoo started to meet a surge of anger and dismay. Promotion, tick; approach to promotion and programming? Needing serious work. If ever there was a story that says that sexism will no longer be tolerated by arts practitioners, this was it. Comedian and actor Penny Ashton led the conversation for many, writing thoughtfully for Spinoff and going head to head with PUG director Miles Gregory on TV3’s The Project. Writer on Shakespeare and gender Lori Leigh also spoke to NZ Herald. Hamlet’s a straight white guy. How universal is that? Gregory issued an apology, withdrew the marketing and in the conversation on 95bFM’s The Wire, got questioned closer and spoke at more length. Suitably, in a good tight piece of radio journalism Ashton got the right of reply. But who got to promote their upcoming productions? Not Ashton. So here goes. After extensively touring her show Olive Copperbottom across the land earlier this year, Ashton’s Promise and Promiscuity is at Centrepoint Palmerston North in September and travels onto the festival in Hawkes Bay in October. Here’s Ashton’s “hottest pink website in the world you don’t have to pay for”. It was quite the week, then, for Summer Shakespeare in Wellington to announce that their first ever Hamlet would be a woman, but directed by “woke white guy of Wellington” David O’Donnell. “Hamlet’s a straight white guy. How universal is that? So David is doing something different” runs an entertaining video teaser. Performing artists in a country this small have many words for outrage and umbrage - in the same way the Inuit have lots of words for snow. And Miles Gregory wasn’t the only producer this week receiving backlash. Sir Peter Jackson has been accused of exploitation offering winning artists US$2000 in a Mortal Engines poster competition. “Mean” and "pathetic" were Maggie Gresson of Artists Alliance’s summation of the prize in a Stuff article. She wasn’t alone: Stuff reported some of the comments from an impressive 800 people commenting on Jackson’s original Facebook post, which has now been taken down. Apologies? Comment? Or is Jackson hoping another NZ labour drama will just disappear? It appears the competition remains open but that it “will now be judged by the Universal Pictures team. Due to a PR decision from their teams, Peter Jackson and Christian Rivers are unable to continue as guest judges.” That’s some distancing! "Performing artists in a country this small have many words for outrage and umbrage - in the same way the Inuit have lots of words for snow," a memorable line from musician Don McGlashan paying tribute to producer Sue Paterson in a gorgeous Sunday Star-Times piece by Nikki MacDonald in April this year. This week also sees a farewell to lighting designer Jeremy Collins. Beginning his career at Auckland’s Mercury Theatre, Collins was one of New Zealand’s first specialist theatre lighting designers and went on to develop Selecon, one of the world’s foremost producers of theatre lights. Collins was known for the mentorship he provided others and his death has been variously described in my news feed as a “big loss to the industry” and Collins himself as “a true pioneer and a fine gentleman”. In 2009 Jeremy Collins received the Entertainment Technology New Zealand Lifetime Achievement Award and last year a Lifetime Achievement Award at the 2017 Auckland Theatre Awards. Collins gets a special mention in Bill Guest’s piece on theatre design on Te Ara. 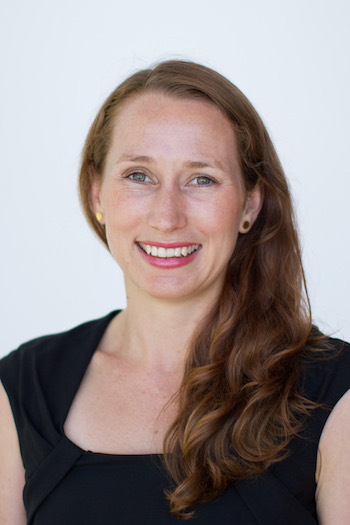 It sounds like a job tailor-made: current Director of Dowse Art Museum, Chair of Museums Aotearoa and of Pantograph Punch Courtney Johnston has been appointed to the newly-created role of Director of Audience and Insights at Te Papa. It’s a “a key leadership role reporting to the Chief Executive”. An intelligent commentator on the role of digital and web based tools for arts organisations and a passionate advocate for artists, Johnston’s six years at the Dowse has seen a strong furthering of the museum’s commitment to both fine contemporary and applied arts and a strengthening of its programming in regards to Maori and women artists. Currently underway in Auckland: for the first time sequential productions of the same play in different languages: in Cantonese, Te Reo Māori, Samoan and ‘Pākehā’, with four distinct production teams. The four translations of the French play Les Chaises (The Chairs) by Ionesco is an initiative at Auckland’s home of Maori theatre Te Pou. Amy Weng on excellent Asian New Zealand cultural platform Hainamana caught up with producer Renee Liang and director Hweiling Ow ahead of the final Cantonese production next week – the Samoan is this week. Camilla Walker reviewed He Tūrū Māu, the Maori production and the Pākehā version separately for Auckland theatre blog Theatrescenes. Will she complete the set?! Recording a fascinating body of artwork and part of our history, Maureen Lander’s ‘Hariata’s War Garb’ at the festival has been written about recently by Sonja van Kerkhoff at national visual arts review site Eyecontactsite. Melbourne has beaten hometown Christchurch to hosting a major survey of the work of sculptor Ronnie Van Hout. Curiously the last major Van Hout survey 15 years ago was a Dunedin initiative and toured four New Zealand centres, but not Christchurch. About time? No one is watching you is the first big solo show at Australia’s newest art museum, Buxton Contemporary at the University of Melbourne on the Southbank. Gina Fairley is a great guide in a review on Artshub. 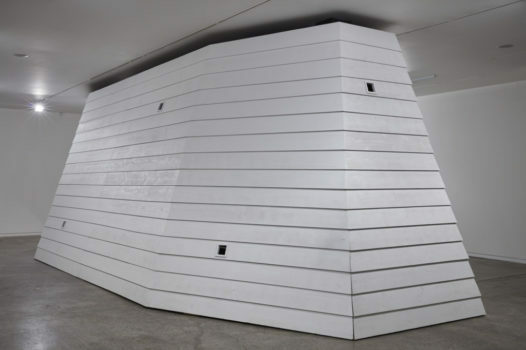 It seems Melbourne loves Van Hout: he has also been commissioned to create a major work by Bendigo Art Gallery for next week’s Melbourne Art Fair, as outlined in an entertaining interview that manages to quote Cheap Trick on Stuff last month. More on the Fair next Lowdown. 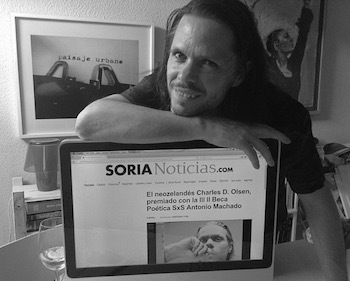 Have residency, can travel: Kiwi Charles Olsen has been awarded the III Poetry Award SxS Antonio Machado, a residency organized by the town councils of Segovia and Soria in Spain. Olsen spends one month in each city following in the footsteps of the Spanish poet Antonio Machado, and has a book of poems and a poetry project involving local residents. But Olsen is also bringing it home. For Phantom Billstickers National Poetry Day in August he is running the competition Given Words, now in its third year. To celebrate receiving the award he will choose words from one of Antonio Machado's poems with which participants must weave their own poem. Starting August 1 Given Words is open to all New Zealand residents. Naturally, the winning poems will also be translated into Spanish. Up north, the bi-annual Ngāpuhi Arts Festival was on earlier this year. Recording a fascinating body of artwork and part of our history, Maureen Lander’s ‘Hariata’s War Garb’ at the festival has been written about recently by Sonja van Kerkhoff at national visual arts review site Eyecontactsite. Finally, a shout out to Pantograph Punch’s excellent ‘Loose Cannons’ interview series, the latest with outstanding actor Miriama McDowell.